Be the first to share your favorite memory, photo or story of Teddy. This memorial page is dedicated for family, friends and future generations to celebrate the life of their loved one. 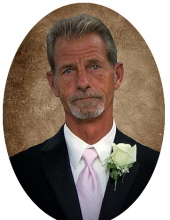 Teddy Joe Jones, age 64, of Welch Road, Jeffersonville, passed away Saturday, January 19, 2019, at his residence. Born June 9, 1954, in Montgomery County, he was a son of the late John Jones and Ida Mae Parker Jones. Besides his parents, he was preceded in death by one daughter, Nikki Jo Jones; a sister, Lillian Clem; and two brothers, Leonard “Red” Jones and Bobby Jones. Teddy is survived by his wife, Ada Parks Jones; one daughter, Alisha and Ross Anderson of Mt. Washington; four sons, Terry and Stephanie Lawson of Jeffersonville, Jason Lawson of Jeffersonville, Brian and Beverlea Jones of Sharpsburg, and Teddy “Jody” Jones of Mt. Sterling; 11 grandchildren, Jacob Shannon, Riley Lawson, Kendel and Hudsen Anderson, Tiffany, Coleton, Kruz, Cougar, Tristan, Shayden, and Brody Jones; and one great granddaughter, Callie Shae Jones. Other survivors include two brothers, Moreland Junior and Janice Jones of Mt. Sterling and George Jones of North Middletown; two sisters, Ann and Mike Prater of Jeffersonville and Conny and Dale Risner of Mt. Sterling. Teddy was owner of JAG Inc. in Mt. Sterling, enjoyed golfing, and loved attending John Saw Pentecostal Church. Funeral services will be conducted Wednesday, January 23, 2019, at 1 p.m. at the John Saw Pentecostal Church, 625 Strange Road, in Jeffersonville with Bro. Sammy Parks and Jamie Davis officiating. Burial will follow in the Lovely-Amburgey Cemetery in Jeffersonville. Pallbearers: Matt Hesler, Scott Watkins, Justin West, Dalton Crowe, Jacob Shannon, Anthony Davis, Brian Thompson, and Charlie Bailey. Honorary pallbearers: Jody Evans, Tommy Davis, Jamie Davis, Robbie Davis, Garvin Parks, Mark Ruth, Terry Thomas, John Saw Pentecostal Church members, and Jag Inc. employees. Visitation for Teddy Jones is Tuesday, January 22, 2019, from 5 p.m. to 8 p.m. at the Clay Community Center, 3400 Indian Mound Drive in Mt. Sterling. To send flowers or a remembrance gift to the family of Teddy Joe Jones, please visit our Tribute Store. "Email Address" would like to share the life celebration of Teddy Joe Jones. Click on the "link" to go to share a favorite memory or leave a condolence message for the family.